EasyRobotics is a Danish company with many years’ experience designing and developing machines for industrial applications. 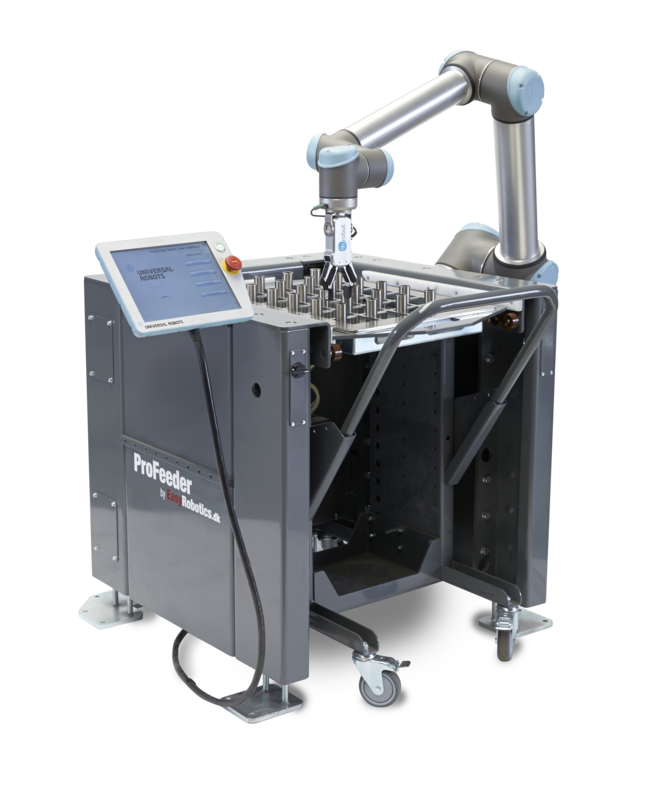 They produce the ProFeeder which is a very strong and robustly engineered, modular robot cell. A robot arm is mounted onto it and parts can be fed in and out of automatic CNC lathes and milling machines. A tray sits in the ProFeeder that contains parts to be processed. When complete these parts are removed from the robot cell and replaced. The ProFeeder is a modular system that can be expanded in three steps, from small to large, where the expansion and investment is made in accordance with production needs. 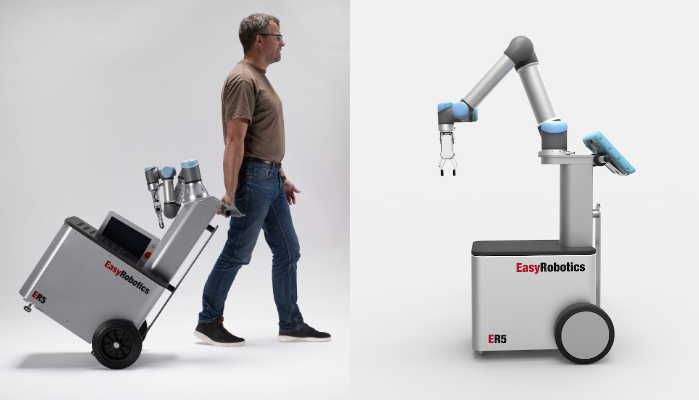 The ER5 series from EasyRobotics is mobile cobot platform developed to maximise mobility and flexibility in robotic automation. To learn more about these products or to discuss a specific application you have in mind call us on +44 (0)2920 494 551 or email sales@x-stk.com. For more information download the X-STK EasyRobotics brochure here or visit the EasyRobotics website here. Applied Automation (UK) Ltd. Registered in England 02532117 ©2016. Created by Applied Automation's Web Development Team.